Successfully Added Xiaomi Air 12 Laptop - Windows 10 Home, Intel Core M3-6Y30 CPU, FHD 12.5 Inch Display, 4GB DDR3 RAM, 1080P (Gold) to your Shopping Cart. The Xiaomi Air 12 Laptop is a remarkably slim notebook that features a stylish full metal body, ultra-light weight design, and beautiful backlit keyboard. Running on an unlicensed Windows 10 operating system, this ultra-tin laptop comes packed with all the latest features and software that Windows users are familiar with – guaranteeing to deliver you with an ultra smooth and powerful user experience. Along with the latest software, the Xiaomi Air 12 features the most up to date hardware – making this stylish laptop the ultimate device on which to enjoy all your movies, games, and a whole lot more. Packing a powerful Intel core M3-6Y30 Dual-Core CPU that has been clocked at 2.2GHz, this Windows 10 laptop is capable of handling the most demanding of games and multitasking sessions out there without dropping a frame. Added to its epic processor, the Xiaomi Air 12 packs the Intel HD Graphics 515 GPU that, along with 4GB of RAM, allows you to enjoy the latest video games in absolutely stunning beauty. With its AKG Dolby Audio Premium Surround Sound speakers, this ultra-thin laptop further enhances your laptop game experience by delivering great audio quality – truly letting you take the most out of your music, movies, and games. Packing 128GB of internal memory, you can be assured that this Windows laptop holds enough storage for you to save all your favorite files, media, and programs that can now be carried along and be enjoyed wherever you go thanks to the laptop’s light weight and highly portable design. Supporting Dual-Band Wi-Fi connectivity, the Xiaomi Air 12 allows you to browse the web, download files, and stream online movies in the blink of an eye. With this Windows laptop, a laggy internet connection will be an issue of the past. Packing an epic 5000mAh battery, this notebook lets you enjoy all its amazing features for 6 hours continuously – allowing you to watch multiple Full-HD movies from beginning to end, browse the web for hours in a row, or simply enjoy a day filled with online gaming without you ever needing to worry about battery life. With its beautiful 12.5-Inch FHD display, the Xiaomi Air 12 delivers all media in stunning detail and vivid color – truly bringing your media to life. Whether you like to watch an FHD movie or play the most graphically demanding games, this Windows 10 laptop is guaranteed to deliver stunning visuals that allow you to enjoy all your favorite media to its absolute most. Coming with a sophisticated backlit keyboard that features large keys, this notebook can despite its compact size be perfectly used for writing up documents and playing games – making it a great multitasking platform on which you can effortlessly combine work and entertainment alike. 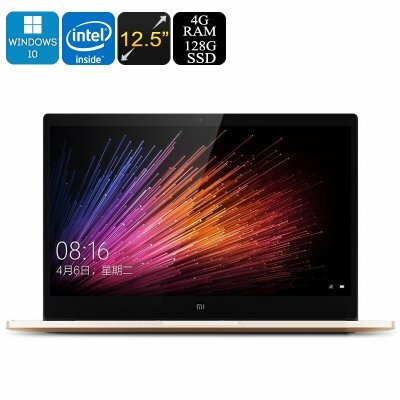 The Xiaomi Air 12 Laptop comes with a 12 months warranty, brought to you by the leader in electronic devices as well as wholesale electronic gadgets..
Arabic: - كمبيوتر محمول 12.5 بوصة - Chinese Simplified: - 12.5 英寸笔记本电脑 - Czech: - 12,5 palcový notebook - Dutch: - 12.5 inch Laptop - French: - 12,5 pouces pour ordinateur portable - German: - 12,5-Zoll-Laptop - Hebrew: - מחשב נייד אינץ 12.5 - Hindi: - 12.5 इंच लैपटॉप - Hungarian: - 12,5 colos Laptop - Italian: - 12,5 pollici Laptop - Japanese: - 12.5 インチのラップトップ - Korean: - 12.5 인치 노트북 - Malay: - 12.5 inci Laptop - Norwegian Bokmål: - 12.5 tommers bærbar PC - Romanian: - 12,5 inch Laptop - Russian: - 12,5 дюймовый ноутбук - Spanish: - Ordenador portátil de 12,5 pulgadas - Thai: - แล็ปท็อป 12.5 นิ้ว - Turkish: - 12,5 inç Laptop - Vietnamese: - 12,5 Inch Laptop.